With the first presidential primaries already less than a year away, it’s no secret that candidates are eyeballing ways to influence and capitalize on voters and delegates in the first voting states. With California’s primary being moved up to Super Tuesday, this makes for an interesting fight in a state that has traditionally been non-competitive for presidential candidates. Here are three trends to watch as all-important California presidential primary develops. California has 500 delegates to acquire and because California’s geography is so diverse, it takes more resources use mass communications such as TV and digital ads. This kind of political spending can be extremely costly for any candidate low on resources early in the primary season. How and when to start media communication in a state with the most expensive media market will be a critical development to watch. Ballot harvesting is another practice that California’s unique political landscape now allows for. This tactic can be extremely beneficial for any candidate who has a well-organized operation that can target voters, collect their ballots, and keep track of how many their operation needs to capture to hit their mark. This practice is new to California and could play a significant role in the 2020 presidential primary. California - like many other states - has had a divide between the progressives moderate Dems. This divide has complicated the Democratic Party and will be a key factor for the presidential candidates looking to gain support in California. 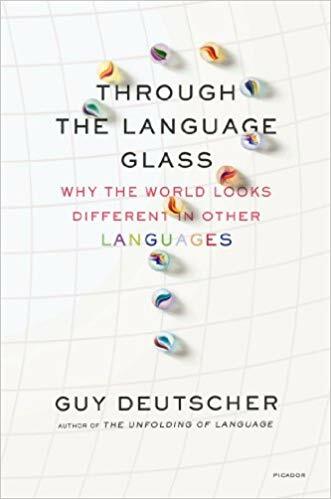 This week Mike is recommending “Through the Language Glass” by Guy Deutscher. "How much does your language influence the way you think? By looking at the history of linguistics, author Guy Deutscher analyses how we have thought about language’s power over time. He compares words and grammar to show how the way we think is either restricted or improved by the language we happen to use. This is a fun and interesting read that alters the way you think about the world."